This photo is made just outside Chiang Mai. We had hired a taxi driver to take us around the vicinity for a few hours. Some of the things we saw, were these two farmers who were in the process of repairing their plow, in order to get on with the plowing their rice field. The image is converted to black and white in Photoshop, and I have added a little sharpen and contrast and used some dodge & burn on his face and the back ground. 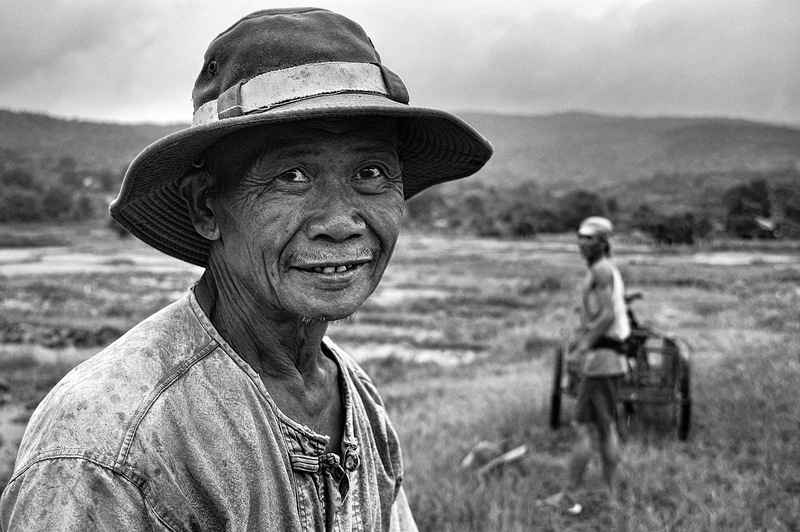 Farmer by Bo47 is licensed under a Creative Commons Attribution-NonCommercial-NoDerivatives 4.0 International License.